SIEMENS SIMATIC. 405 SERIES PLC. PID COPROCESSOR MODULE. REFURBISHED. Click the button below to add the Siemens Texas Instruments 405 6PID to your wish list. 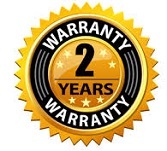 Copyright 2019 Automation Parts Warehouse® is a trademark of Automation Parts Warehouse, LLC. All Rights Reserved.